Companies are adopting latest technologies and trying to reach their target audience through popular platforms. Enabling easy access to information or merchandise to prospective customers is the key to grow the business. Facebook is one such platform where everyone is present: According to a report by Statista– Facebook earned 2.27billion monthly active users in the third quarter of 2018. The numbers reveal that Facebook has great potential for businesses to tap new clients, fans and loyal customers. How can businesses tap the potential Facebook presents? 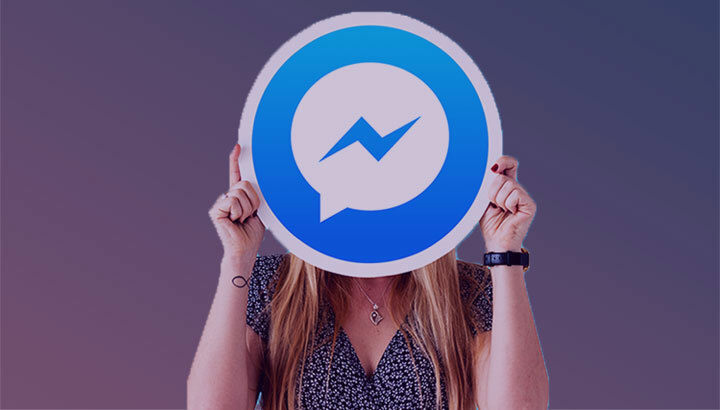 Integrate a chatbot with Facebook messenger and let all your prospective customers engage with your brand by talking to the embedded conversational Chatbot. Every conversation and every chat log can be used to understand customer behavior, customer choices and customer expectations. Chatbot on Facebook messenger will make your brand look trendy, customer centric and one that stays abreast with latest technology. AI powered bots can talk to the customer, resolve their queries, help them compare prices, choose product/merchandise they need – all by talking to a bot, just like they do at a brick and mortar setting. The difference here is that unlike the brick and mortar – the bot on FB is easily accessible anywhere. Just login to FB and talk the bot at any time of the day (24×7 assistance). The most successful interaction that any business can conduct is at the place where customers are. No business can complete a deal by forcing their user to accept or adapt something. Facebook is a highly frequented platform. Now people do not even have to log in from a desktop to surf through Facebook. They are logged in 24×7 on the Facebook app on their mobile phone and hence this is the place where they are available 24×7. It is possible to easily educate the audience about the products and the services by simply sending them a message that contains important details related to any product, scheme or upcoming event. 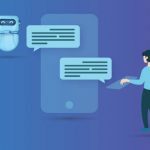 When any reply is received, a smooth flow of conversation can take place with the help of message sequence which will enable a satisfied communication for both the business and the users. With great, valuable and well-designed content it is possible to reach the audience without entering their house or making appointments or meetings with them instead it takes place by user’s permission and great interest in a place where they are. Therefore, a whole new level of relationship can be built with customers. The most engaging users that enjoy putting comments on the post can help the business to interact with them by sending a message the second that they comment on Fb post. Once the user comments, FB messenger bots send a message to the commenter-i.e. “The lead for the business”. A list of leads can be created by looking at messenger that generates a lead for future communication. This enables a modern way of communication for the businesses with the help of Facebook Live feature, better engagement with online posts and valuable for sending updates to the customers. Many businesses are engaged in making leads and conversions with webinars that they conduct. Sometimes, it is heartbreaking to get nothing out of big webinars even after receiving hundreds of registrations. One of the main reasons why a webinar does not get the audience on the day is people forget the date and surely miss the opportunity to attend the same. By sending a reminder and update message to the users on messenger, a better conversion level of webinars can be expected. Bots can help in keeping the audience in sync starting from registration to final day of the webinar. It gives amazing results when a broadcast takes place and there is a high click-rate through messenger. An email notification can also be provided by sending countdown messages on specific days and few minutes before the webinar starts. So, what needs to be kept in mind while implementing FB messenger bot? Design a strategy – Don’t just create and put the chatbot. Keep in mind what can serve your customers the best and deliver the same. Make a journey for the customer- Think of the customer’s side and then decide for the chatbot step. Do not just simply implement it without complete understanding. Test and measure- Before launching the bot, check all the sequenced messages and understand the context. The message should be crisp and clear offering all the required information. Do not forget human touch – For an engaging conversation, humanize your bot’s replies. Great Content – Spend time in designing your message script. 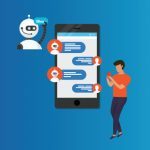 Looking for a chatbot builder that integrates with Facebook messenger and offers an advanced experience to your customers? Streebo’s’ Chatbot builder is a low or no code browser-based tootling that allows the organization to implement chatbot with no AI skills to rapidly assemble chatbot solutions wired with backend system of records such as Content Management systems, ERPs, Relational Databases and point and click interface. 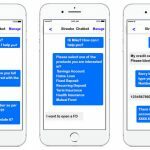 Streebo’s Chatbot solution is powered by IBM Digital Experience platform and supports a variety of NLP engines including IBM Watson Assistant. Solutions assembled with the chatbot builder can be deployed on-premise or on a cloud. Want a personalized demo? Or a trial? Contact us today and our lab research engineers will help you get started.